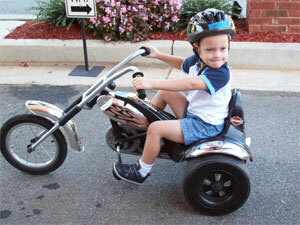 St. Jude Trike-A-Thon event is a huge success at Favorite Time Academy each year. 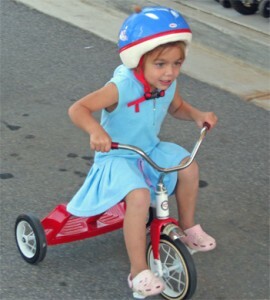 The event helps teach children bike safety while raising funds for St. Jude Children’s Research Hospital®. Parents and the surrounding community generously sponsor Trike-A-Thon students by pledging an amount-per-lap the students ride or a one-time donation. 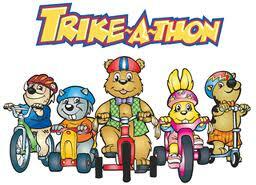 Trike-A-Thon is a fun, week-long curriculum for early learning centers and pre-schools. Trike-A-Thon participants learned bike safety lessons through a series of interactive stories from special characters, Bikewell Bear® and Pedals the Bunny™. The characters really bring the safety lessons to life. 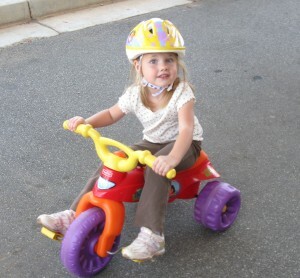 The children are active participants in learning what it takes to be safe on a bike. At the end of the Trike-A-Thon week, students bring their trikes or riding-toys to school and practiced the safety lessons they have learned. St. Jude is the leader in the fight against catastrophic childhood diseases such as leukemia, brain tumors and sickle cell disease. Through events like this Trike-A-Thon, students support the St. Jude mission of finding cures and saving children across the country and around the world. The student and parent turn-out is impressive! Bikes are lined up from the entire length of the school. “It was hard not to have a permanent grin on your face as you watched the children make their laps and have such a great time!”, states Paul Walker, Team Coach. St. Jude Children’s Research Hospital is internationally recognized for its pioneering work in finding cures and saving children with cancer and other catastrophic diseases. No family ever pays for treatments not covered by insurance and families without insurance are never asked to pay. 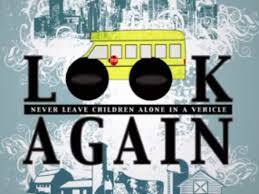 St. Jude is financially supported by ALSAC, its fundraising organization, through events such as Trike-A-Thon. For more information, please visit www.stjude.org.